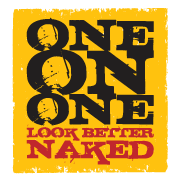 Are regular gym memberships available at One On One Fitness? No. One on One is a private studio. Only individuals working with one of our trainers are eligible to use the facility. This ensures that our clients have an optimal environment to focus on their training. I have not exercised for many years, am I ready for One on One? Absolutely! With the careful guidance of our dedicated trainers, you can safely improve your health and fitness no matter what level you are at. I have been lifting weights on my own for many years, what can One on One do for me? Health and Fitness is an exciting, ever evolving discipline. Our trainers regularly attend conferences and seminars to keep current on the latest information in the fitness industry. If you want to take your training to a new level, contact us for a consultation.